In stock -This product will ship today if ordered within the next 12 hours and 56 minutes. 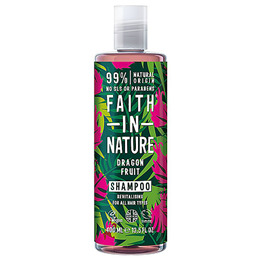 This exotically-fragranced shampoo is rich in antioxidants and bursting with a fruity aroma. Aqua (Water)**, Ammonium laureth sulfate*, Maris sal (Sea salt), Cocamidopropyl betaine*, Polysorbate 20*, Hylocereus undatus fruit extract*, Glycerin*, Parfum (fragrance)*, Beta vulgaris (beet) root extract*, Anthocyanins*, Potassium sorbate, Sodium benzoate, Citric acid*, Linalool*, Limonene*. Massage gently into wet hair, rinse well and repeat if required. For best results, follow with Faith in Nature Conditioner. 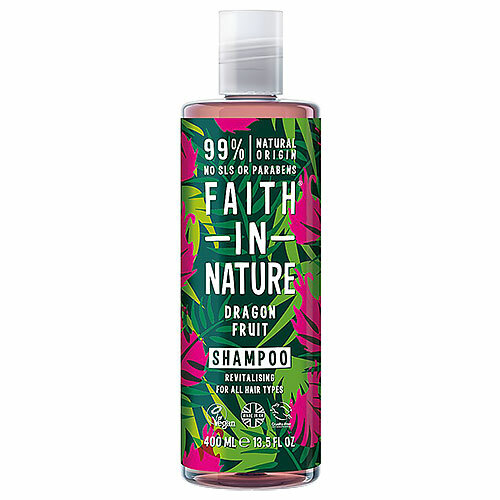 Below are reviews of Faith in Nature Dragon Fruit Shampoo - 400ml by bodykind customers. If you have tried this product we'd love to hear what you think so please leave a review.